1. 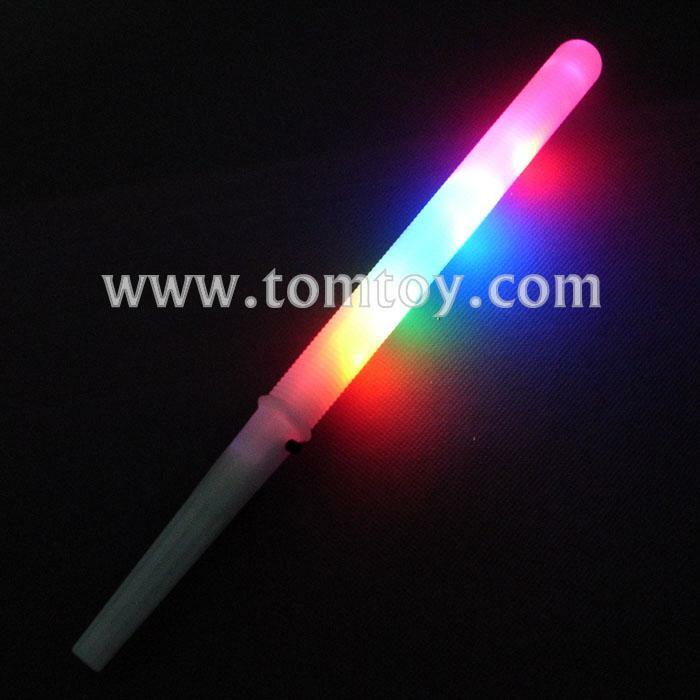 Glow Light: 4 LEDs, Red*2 + Blue + Green light, Flashing and eye-catching. 2. Cute Design: Cotton Candy Stick, Clear Tube, best gift for kids. 3. Material: Made of PS plastic, Eco-friendly, heat resistant and durable. 4. Size & Battery: 28cm*1.75cm (Length*Diameter); Powered by 3 * AG3 batteries included. 5. Application: Make your candy shiny and glitter in Wedding, Children's party, Christmas and other special occasions.